Nidderdale Bunkhouse is a large, spacious grand old shooting lodge with picturesque views of the Dales and Gouthwaite Reservoir. 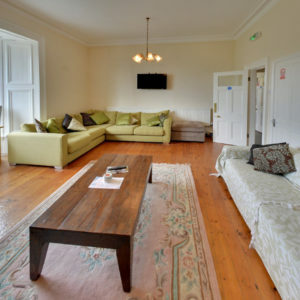 The former shooting lodge is a picturesque traditional stone building which accommodates up to 20 people. It has been sensitively converted by local craftsmen to provide convenient, flexible and comfortable group accommodation in a peaceful and private rural setting. 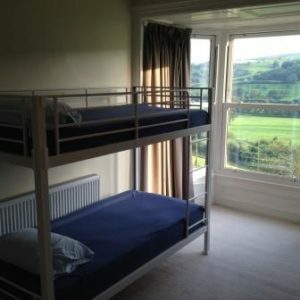 Nidderdale Bunkhouse has been open since the Summer of 2016. Matt and Bev, who also own Skirfare Barn, have done a spectacular job of converting this grand old shooting lodge which sleeps up to 20 people in four rooms, two of which are on-suite. There are two further bathrooms and four shower rooms. The open plan kitchen has plenty of equipment. 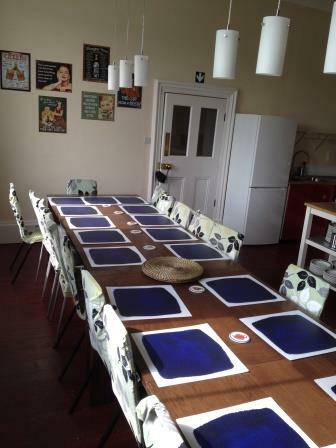 The beautiful dining area has a large family dining table so everyone can eat together. The seating areas have fantastic views over the valley and there’s an open fire for cooler months. 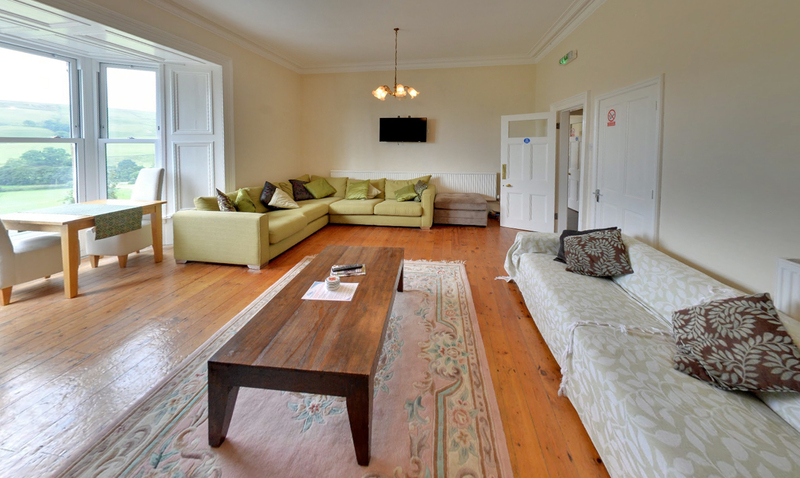 There is also a large living room with comfortable seating for all – ideal for games evenings or just relaxing. The bunkhouse is literally on the Nidderdale Way route so there’s plenty of walking opportunities here. The renowned Yorke Arms, a Michelin star restaurant, is nearby in Ramsgill. A beautiful bunkhouse in a stunning location. 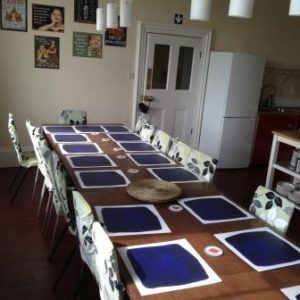 The bunkhouse was spotless along with feeling homely and every single one of the guests was thrilled with the accommodation. How many does the bunkhouse sleep? 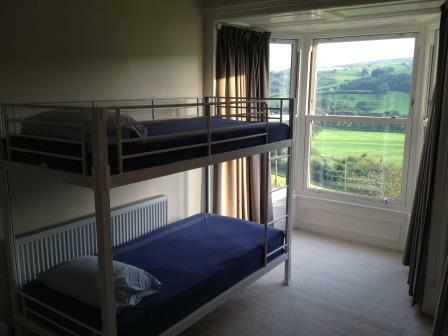 Visit the Nidderdale Bunkhouse website or telephone Matt or Bev on 07597 645 254. From Ripon take the B6265 to Pateley Bridge. After crossing the bridge turn right onto Lower Wath Road (Upper Nidderdale). Follow the road through Ramsgill. Nidderdale Bunkhouse is the third turning on the right. Book online here or call 01423 755666 to speak to a member of the team. You will need sleeping bags and your own toiletries, towels. You may also need food/ condiments and tea-towels. If you are taking part in any outdoor adventure activities you will need suitable clothing to prepare for your chosen activity.